Why Feed Quality Seed to Wild Birds? Empty Calories are Lost Nourishment! Wild birds must be efficient eaters to survive. They seek the best nutritional content available and eat their fill quickly. For wild birds, with their fast-acting metabolism and high calorie requirements, eating anything that doesn’t contain essential protein, fat and carbohydrates is a lost opportunity for nourishment. Premium quality seed maximizes nutrition. What is Best Quality Bird Seed? Not all bird seed is created equal! When feeding wild birds, think quality and value. There are reasons why that bag of mixed seed is so cheap! Full of irrelevant filler seeds undesirable for the majority of our local wild birds. This waste will end up on the ground beneath your feeders and attract less desirable scavenger birds and worse, rodents! It’s old, nutrition depleted. Or rancid! Being held over from previous harvest(s) allows time for loss of nutrients and taste. It’s been stored improperly, exposed to moisture. Contains unacceptable amount of insect larvae or rodent feces. Read the labels! Check the dates and make sure all the seed is the most recent season’s fresh crop. Store seed in a dry, airtight container, secure from insects or foragers. Has something about your bird seed changed since you bought it? If any of the following are present, dispose of it and buy fresh seed. Unpleasant smell. It should smell fresh and nutty. Stickiness and clumping. This means the seed is damp and in a pre-mold condition. Change in color or has a dullness or powdery coating. Evidence of insect infestation, i.e. spider-like webbing, cocoons. A filthy bird feeder is unhealthy. A moldy bird feeder is dangerous! 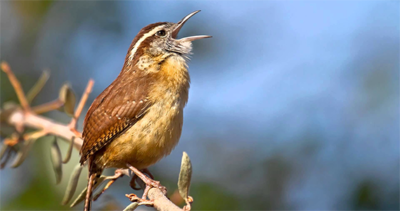 Wild birds are vulnerable to diseases caused by inhaling mold spores, among others. Keeping an eye on the cleanliness of your feeders and cleaning them quickly when needed is vital. Before you refill a feeder, or top it off with food, remove any debris left by your guests. Make sure any remaining seed is dry and fresh. See below for knowing when bird seed is spoiled and should be replaced. Soak in hot soapy water and use a brush/scrunge sponge to give all the parts a good scrub. Rinse thoroughly; until all soap is gone. Reassemble feeder and fill it with fresh seed. 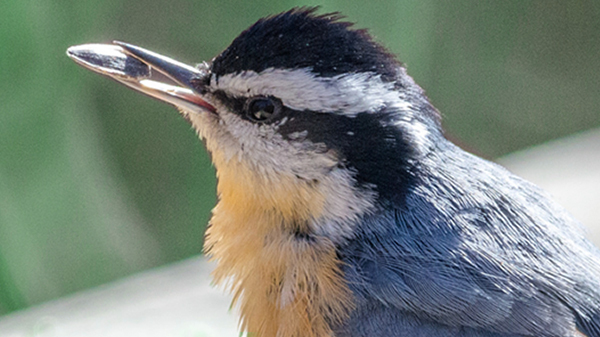 Your conscientious effort to keep your feeders clean and stocked with the best available food could help generations of wild birds stay healthy! Not to mention rewarding you with countless hours of joy! 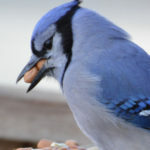 Backyard bird feeders are an excellent opportunity to see birds up close and at their best, all year round. Wait, there’s more! Another very important way you can support wild birds health and well being is by adding a water source to your backyard habitat. Water is critical to bird health during all seasons of the year. See “Wild Birds, Summer and Water” or “Wild Birds, Winter and Water” for more. Maintain your bird bath or fountain by keeping it clean and filled, with the same diligence as your feeders, and you will entice non-seed eaters to your backyard!